Special lighting systems on customer request are our specialty. Here you can see an underwater system with external ballast. 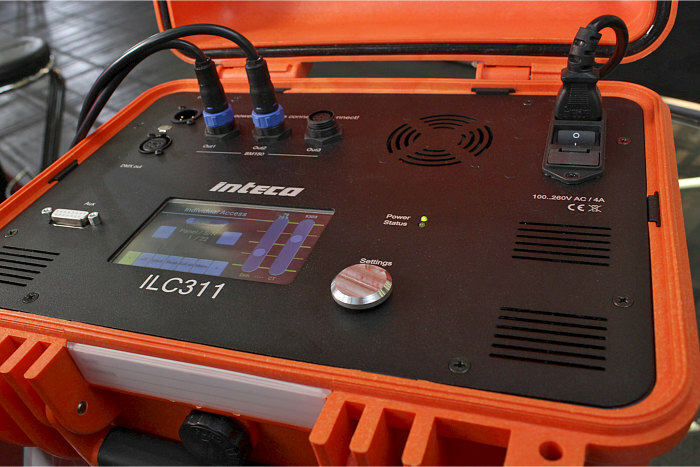 The ICC311 ballast is DMX capable and equipped with touch screen. In addition, up to 22 light sources can be controlled individually or together. 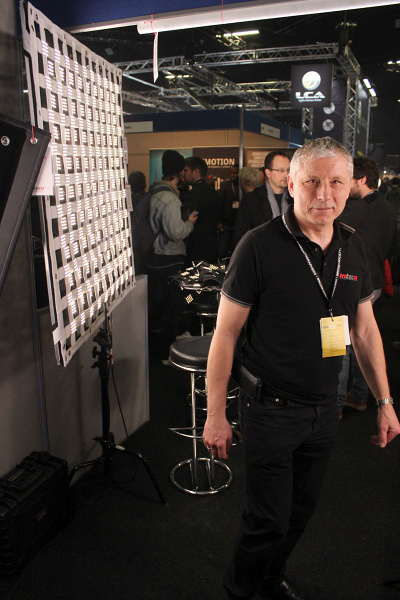 The set consists of a modified version of the BM150 LED light which is IP67 and waterproof up to 10m. Please direct your inquiries about custom-made products directly to our customer service. 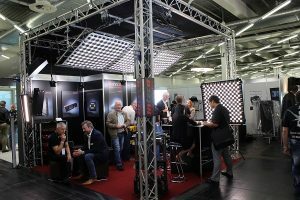 Everyone is welcome to visit us at the Photo & Adventure fair in Vienna from 24.-25.11.18. So take your time and look past, we looking forward to your visit! IBC 2017 WOW! Such a good show. Our first participation on the IBC fair will continuous occupy us for a long time. On the one hand thanks to the many contacts we were allowed to make, and on the other hand because of ample work which now awaits us. We would like to thank all visitors of our stand. As well for the strong response during the show and all interested parties after the show. At the trade fair still presented as a prototype, the LedZ-361 is soon available in series. Please do not hesitate to contact us if you have any questions. Our service team is looking forward to providing you with comprehensive advice. In the gallery you will see some pictures of the new power LED mesh. News: Especially our brand-new member of the Butterfly-LedZ family was getting attention. News: BSC Expo 03.-04.02.2017 London! The busy days and weeks before the show now forgotten and now we have some cinetile news for you again. It is always a great pleasure when the visitors browse the exhibition halls with bright eyes in search of new products and highlights. We would like to thank all the helpers and visitors of the fair for the great time we were able to spend in London. The BSC 2017 was again able to increase visitor numbers again this year. We are also assuming that we were represented with our innovative products. We would like to thank all the new business partners and those who would like to become one. Now we are looking forward to everything that the year 2017 brings and of course also to the next fair with you! News: A success trade fair "Cinec 2016"! We would like to thank the many visitors to our Cinec 2016 exhibition. A great time is behind us with a lot of fun and interesting conversations. We are very proud of the great attention we have received for our “Cinetile” products. It is always a valuable experience to talk directly with the users of our products. Back in the office the work is really going on, many orders are now waiting for the delivery. And, of course, we are intensively investing in new innovative products to surprise you with clever lighting systems in the future. If you have any questions regarding our products, please do not hesitate to contact us . Afterwards there are a few pictures and Cinetile news from the fair.